A major part of the college experience is where you live from year to year. Where you live can have an impact on both your academic performance and on you as an individual person in a number of different ways. After freshman year, it is extremely important for you to take a lot of different things into consideration when selecting where you’re going to live. The first thing you should consider is what each housing location has to offer and what differences there are between them. When comparing the Summit and University Crossings, one major deciding factor for some people may be the fact that Ucross makes you pay money to do laundry, whereas doing laundry at Summit is free of charge. Friends of mine who live in Ucross have even brought their clothes to Summit to do their laundry because they don’t want to have to pay to do it. It’s also smart to consider the location of where you’re going to live in relation to Drexel’s campus. If you’re trying to live as close to the center of campus as possible then University Crossings is probably your best choice. It’s situated very conveniently and getting to other parts of the campus from it is very quick and easy. 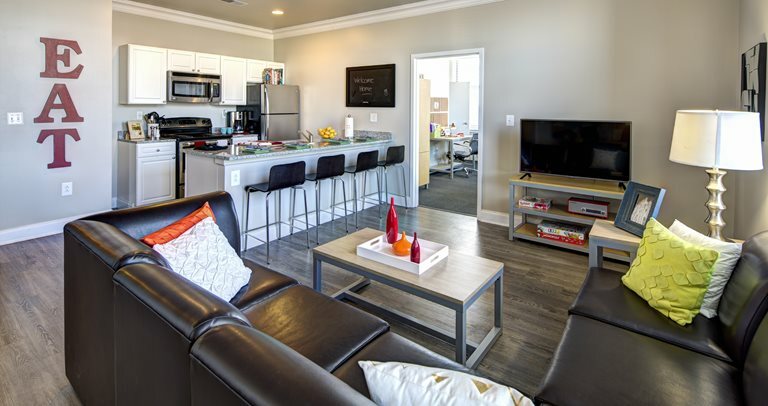 If you are not trying to live in the center of campus then Summit and Chestnut Square are options that you may want to consider, as well as Drexel residence halls like North Hall or Caneris. If you are going for suite life, then it is very important to make sure that your suite comes with what you need because some suites come with things that others do not. For a person that cooks regularly, a suite with an electric stove top oven would be the best choice for them. If they picked a suite that did not have an electric stove top oven, then they would more than likely end up doing their cooking on a burner of some sort, which would limit what they are able to cook in some cases. Making sure that your suite comes equipped with things that will make your life easier will end up benefiting you in the long run. Something else, and arguably the most important part of the housing process, is your suitemates. They were never something that I was concerned about prior to college, but I now realize how uninformed I had been. Your suitemates can essentially make or break your living experience at Drexel. This is mainly because of the fact that you will have to be interacting with these people on a daily basis, and if you don’t like them, then get ready for what will probably be a living experience filled with frustration and constant arguing. If at all possible, I highly recommend living with people who you actually know, as opposed to strangers. Even if the people you know aren’t exactly perfect embodiments of your ideal suitemate, you’re still better off with them than you are with taking the risk of getting a suitemate that you have zero compatibility with. If you don’t know anybody who you want to room with then unfortunately you’re just going to have to cross your fingers and hope for the best. At the end of the day, housing can be a pretty tricky process if you don’t have a grasp on what you’re doing. You need to know what you’re looking for and what places offer what you want for the most affordable price. I cannot stress this enough. It’s imperative that you do your research when it comes to where you will be living, and make sure to be thorough. It’s good to be nosy during this process because there is a lot on the line here. Make sure to read reviews online and if you know people who have lived in places that you’re considering living in, ask them what their living experience was like there. The more information you can get, the more of an educated choice you can ultimately make on where you will want to live.